The Life of Jean Paul. By Benjamin W. Wells. -- Quintus Fixlein's Wedding. -- Rome. -- The Opening of the Will. -- WILHELM VON HUMBOLDT Schiller and the Process of His Intellectual Development. -- The Early Romantic School. By James Taft Hatfield. -- AUGUST WILHELM SCHLEGEL Lectures on Dramatic Art. -- Introduction to Lucinda. By Calvin Thomas. -- Lucinda. -- Aphorisms. -- The Story of Hyacinth and Roseblossom. -- Aphorisms. -- Hymn to Night. -- Though None Thy Name Should Cherish. -- To the Virgin. -- Hyperion's Song of Fate. -- Evening Phantasie. -- Puss in Boots. -- Fair Eckbert. -- The Elves. 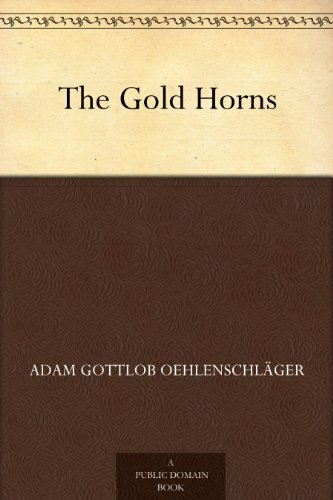 -- The Life of Heinrich von Kleist. By John S. Nollen. -- Michael Kohlhaas. -- The Prince of Homburg. 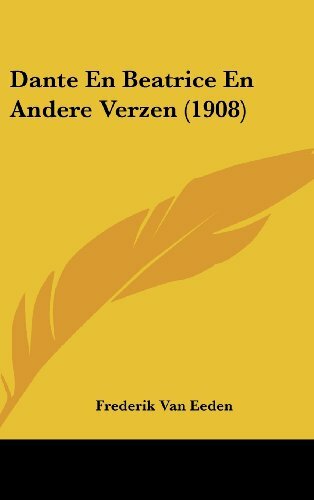 The German Classics of the Nineteenth and Twentieth Centuries, Volume 04 - Masterpieces of German Literature Translated into English. in Twenty Volumes is presented here in a high quality paperback edition. 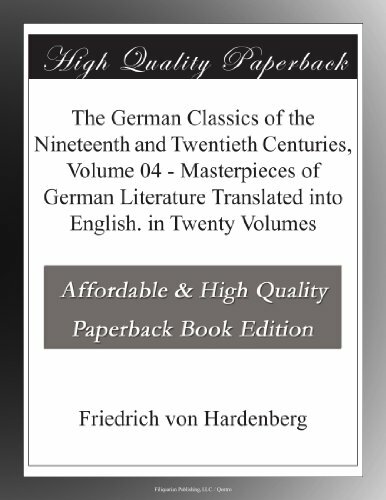 This popular classic work by Friedrich von Hardenberg is in the English language, and may not include graphics or images from the original edition. 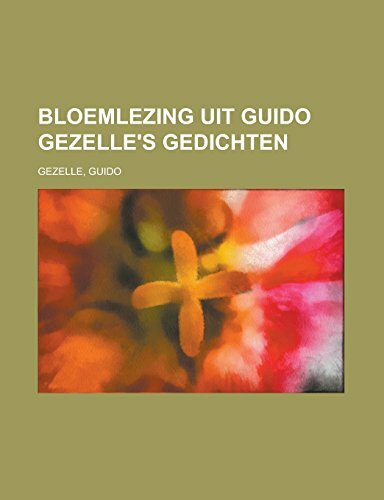 If you enjoy the works of Friedrich von Hardenberg then we highly recommend this publication for your book collection.